Rafting is just one of many activities kids 8-17 enjoy at Shaffer's High Sierra Summer Camp. 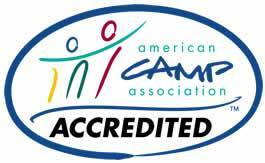 The Camp offers a whitewater trip along the American River operated for us by a professional rafting company. On this full day adventure, you'll run the South Fork of the American River from Coloma down "The Gorge." You'll navigate the river in an exciting 8-person inflatable raft led by an experienced guide, and you'll help to paddle. Over the beginning part of the trip, the river meanders through gold rush countryside, a lazy Class II cruise before it abruptly drops into The Gorge. As the rock walls narrow, the river picks up speed, and your pulse will quicken as you plunge through miles of back-to-back rapids, including class III and class IV rapids like Satan's Cesspool, Haystack Canyon, Bouncing Rock and Hospital Bar. Again, the trip is conducted by a professional rafting outfitter. Safety is just as important as having a fun time. You'll go through an orientation that covers safety issues and how to paddle as a team under the direction of the raft's guide. All participants wear personal flotation devices (life vests) and helmets, and all river guides are certified in first aid and swift water rescue. 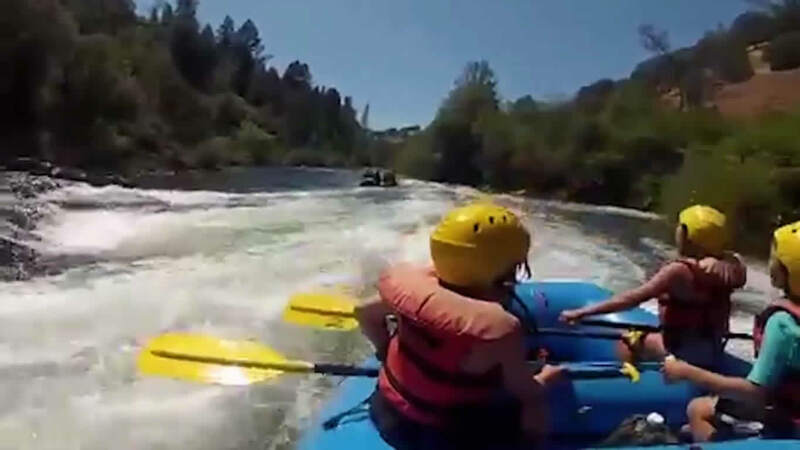 If you want to read more about our American River rafting outfitter, Mother Lode River Center, click here. This 10 mile trip is appropriate for children as young as 8 (12 during high water periods, which is typically during the spring before Camp begins).